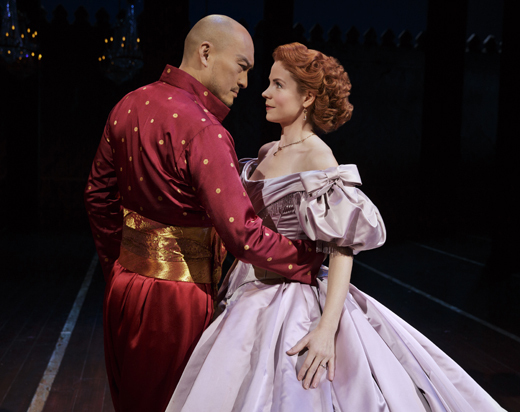 The glorious The King and I overture reaches a crescendo, filling Lincoln Center’s Vivian Beaumont theater with some of the greatest music ever written for the theater played by world-class musicians. Then, a giant sailing ship moves across the stage into the audience. Gasps. And yet it’s when, in the words of New York Times critic Ben Brantley, “the determined, hopeful, anxious woman in the hoop skirt” runs on deck that applause rocks the place. “Her name is Anna Leonowens and she is played, you lucky theatergoers, by Kelli O’Hara.” Lucky indeed, as most of us there that day know. We are fans of the amazing performances she has given on Broadway since her debut in 2000, as a replacement in Jekyll and Hyde. She talked to me about those roots. The O’Hara side initially came to the U.S. around 1850, living in Iowa, Missouri, and Colorado, where O’Hara’s great-great-grandfather did well with horses and farming. But soon, Ireland called again and he returned. 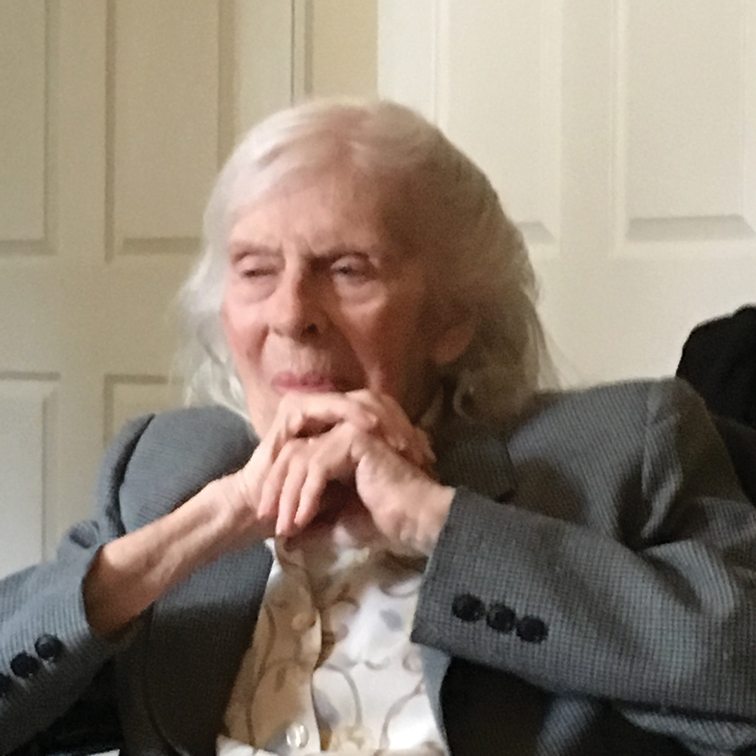 “My great-aunt, who was then in her 90s, told me the story,” O’Hara says. “He went back to Ireland, either to get his family or to live there with his newfound wealth, but he was actually forced to leave. Something happened and he had to take his family and nothing else and escape at night.” Her great-grandfather, Peter, was born during that brief time back, but the family returned to America. As adults, Peter and his brothers, James and Michael, split off to find land. They landed in western Oklahoma in 1909, just two years after statehood, settling first in Mangum, where O’Hara’s grandfather was born, and later in Elk City, near the Texas panhandle, where they acquired a farm. O’Hara’s grandparents, George and Marie. “We still farm the land that they found. My dad’s brother Robert lives on the original farm. My father and brother are both Patrick O’Haras. 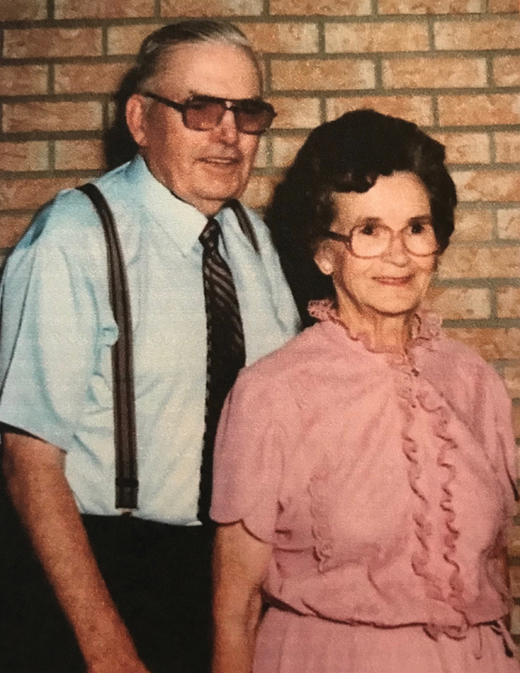 Our family has a long wonderful history of Irish lineage.” Her father and mother were both born and raised in Elk City, as was Kelli herself, and to date, six generations of O’Haras have lived on the land. “We do have one precious possession that’s been handed down. It’s an Irish cookbook that we use all the time. On the cover, written in Irish, is Ó hEaghra – O’Hara,” she says. 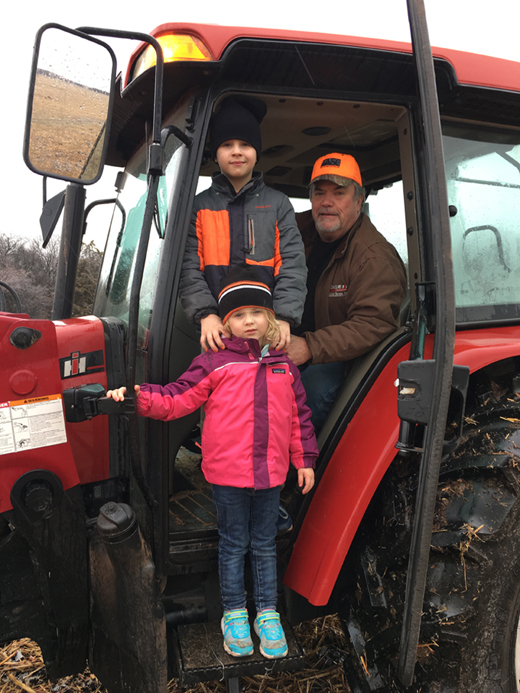 O’Hara’s grandfather, for whom she wrote “Here Now,” drives a tractor on the family farm. 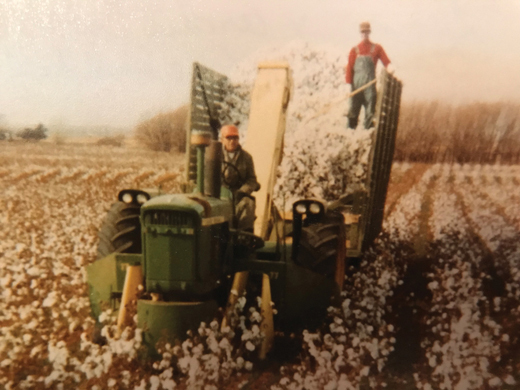 Standing behind in the cotton trailer is Archie Dye, who helped work the land with the O’Haras. But the place I’m dying to be. Of the girl who is marrying me. Growing up, Kelli found her sustenance in music. 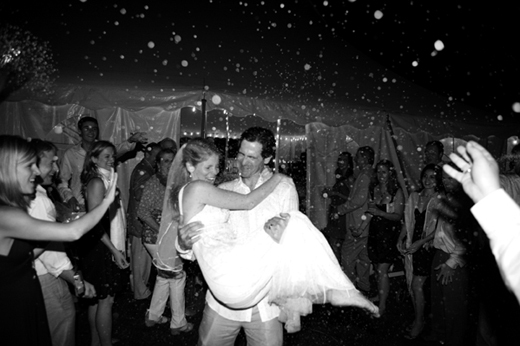 “There was singing in church and at weddings,” she remembers. “We were Catholics in the Baptist Bible Belt. Our church, St. Matthew’s Catholic, was central to our lives. I grew up singing in church and I loved it. I went to Oklahoma City University where my teacher, Florence Birdwell, helped me think outside the box. When I graduated, I could have gone on to grad school or studied more music, but I eventually found myself packing two suitcases with no clue and moving to New York City. I think it scared my parents a lot, but they put me on that plane. I just had a feeling that if I didn’t try I would never forgive myself. Somehow I wasn’t even afraid. But then, look at my great-great-grandfather and all the Irish who headed out into the unknown. When I read Frank McCourt’s Angela’s Ashes, I thought, ‘I know these people.’ I understand their humor, their endurance, their strength. O’Hara’s children, Owen and Charlotte Naughton, with her father, Pat, on his farm. O’Hara is very aware of connections between her projects and what’s going on in the world. 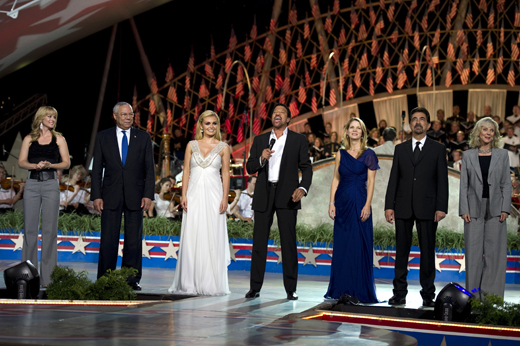 “When we did South Pacific, Barack Obama was running for president, and it was a story focused on race. When we were first doing The King and I, Hillary Clinton was running for president, and we saw a chance to tell a story about feminism.” When Anna gives a copy of Uncle Tom’s Cabin to the King of Siam’s youngest wife, she reads it and rebels, unwilling to remain a slave. Director Bartlett Sher said that his interpretation of The King and I was inspired by the thought that even in our present world, the thing terrorists fear most is a girl with a book. To underscore this point, the Nobel lecture written and delivered by Malala Yousafzai, who as a 15-year old was shot for going to school by the Taliban in Afghanistan, is featured in the The King and I issue of the Lincoln Center Theater Review. The heroines O’Hara chooses to play echo Irish heroines of the past – Queen Maeve, who led armies; Grace O’Malley, the pirate queen of Connacht; and perhaps one of O’Hara’s own female ancestors, walking the hills of Clare and singing along the way. I thought of this as I watched Kelli in Brigadoon. It was my birthday and I was lucky to get a last-minute ticket, and once again marveled at how she can reinvigorate classic American musicals. Maybe the mythical village is Scottish, but Fiona is Irish as she sings about waiting for her dearie, and the dream she is unwilling to compromise. It’s easy to believe that O’Hara could expand a miracle and bring the town of Brigadoon alive again. Next, O’Hara will appear as Despina in the Metropolitan Opera’s production of Mozart’s Cosi Fan Tutte, disproving the premise of a number she does in her concert – “They Don’t Let You in the Opera if You’re a Country Star.” Interestingly, it’s Phelim McDermott, born in Manchester, England, of Irish descent, who set the opera in 1950s Coney Island and will be directing. So maybe the ancestors were calling Kelli O’Hara back to where her heart has ever been. Don’t miss this year’s Hall of Fame Luncheon, taking place on March 14th at the Pierre in New York City! Seats and tables can be purchased here, and view Kelli O’Hara’s remarks and performances at last year’s luncheon below. This article was published in the April / May 2018 issue of Irish America. 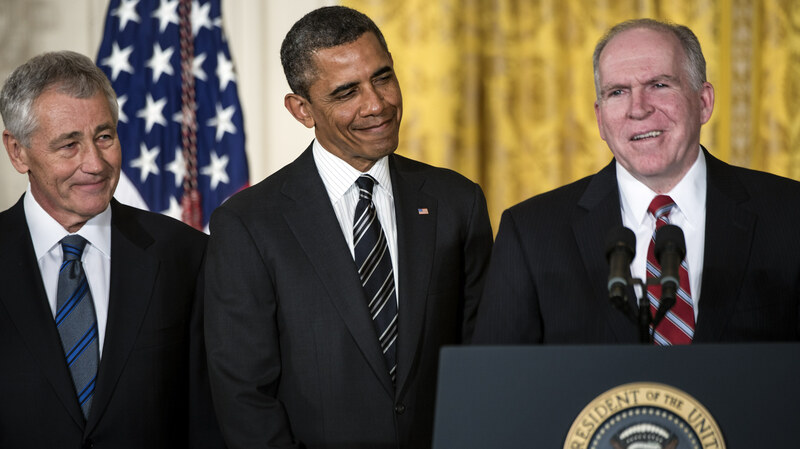 John Owen Brennan’s 29-year career with the Central Intelligence Agency was spectacular. He was director of the agency from March 2013 to January 2017 and prior to that, his career included stints as intelligence briefer for President Bill Clinton, top deputy to CIA director George Tenet, director of the National Counterterrorism Center during George W. Bush’s presidency, and chief counterterrorism advisor to President Barack Obama. Brennan has also worked as a Near East and South Asia analyst, as station chief in the Middle East, and, outside the CIA, had a brief stint in the private sector as chairman of the Intelligence and National Security Alliance and CEO of The Analysis Corporation. 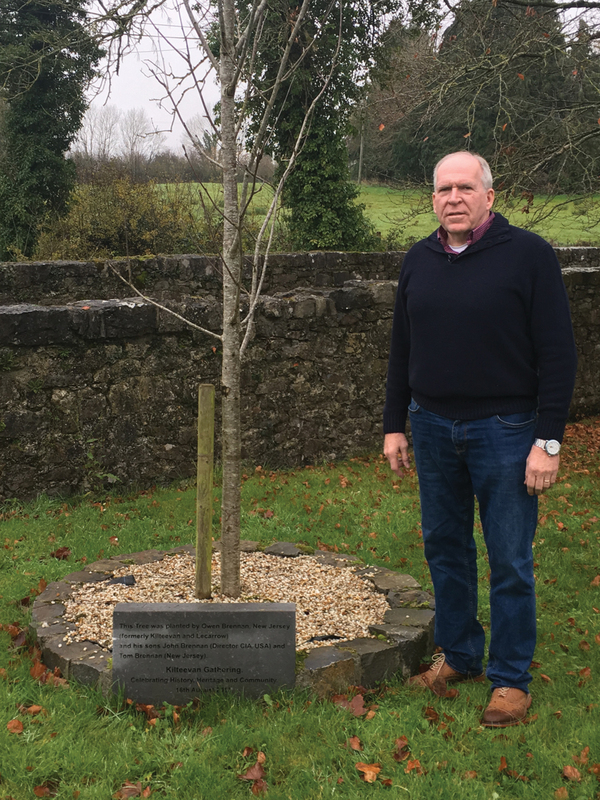 John Brennan returned to Kilteevan, Co. Roscommon, in November 2017 to see the tree he and his father had planted during their 2013 visit. The shift within the CIA from a Cold War focus to the Arab world made Brennan, fluent in Arabic and a Middle East specialist, a valued commentator, and there is no doubt that he is one of the foremost political minds of this era. He was recently named a distinguished fellow for global security at the Fordham University School of Law’s Center on National Security, and in February began his post-public service career as senior national security and intelligence analyst at NBC and MSNBC. Outside his on-air time and office hours, John Brennan delights in prioritizing his heritage and faith – his guiding lights. Born in 1955 in Jersey City, New Jersey, Brennan was raised in West New York and North Bergen in an extremely Irish household. 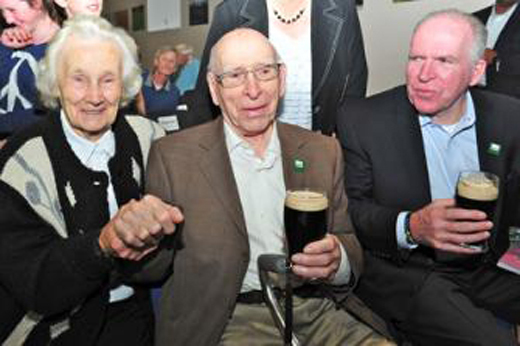 His father, Owen, who died in December 2016, was a native of County Roscommon, and his mother, Dorothy, who died in April of last year on what would have been her husband’s 97th birthday, was first-generation Irish American, from Mayo and Galway. They met at an Irish dance and married in 1952. “After 65 years of marriage, I am sure she didn’t want to miss a birthday with her beloved ‘Owenie,’” he told Irish America recently. I visited Brennan at CIA headquarters in Langley, Virginia at the end of 2016, and learned that Ireland was a constant presence in the Brennan house when he was growing up. The Irish influence in Brennan’s life is still strong. He can hold down a discussion on Gaelic games, talk about his father’s hero worship for the All-Ireland winning Roscommon teams of 1943 and 1944, and even has a couple of Irish words, pronouncing his name as Gaeilge as Seán Ó Braonáin. One of his prize possessions is a hurling stick used in the ancient game, given to him by his good friend Irish Prime Minister Enda Kenny. Five years ago, he and his brother Tom took their father on the trip of a lifetime back to Roscommon for The Gathering, a government initiative to bring emigrants and the diaspora back to Ireland. Owen Brennan was once a blacksmith, working for the Anglo-Irish McCalmont family in what is now the Mount Juliet Estate, complete with plush hotel and golf course, in County Kilkenny. Back then, Owen slept upstairs from the stables in a loft. Entering the Big House was forbidden, especially for a lowly blacksmith who was expected to know his station. 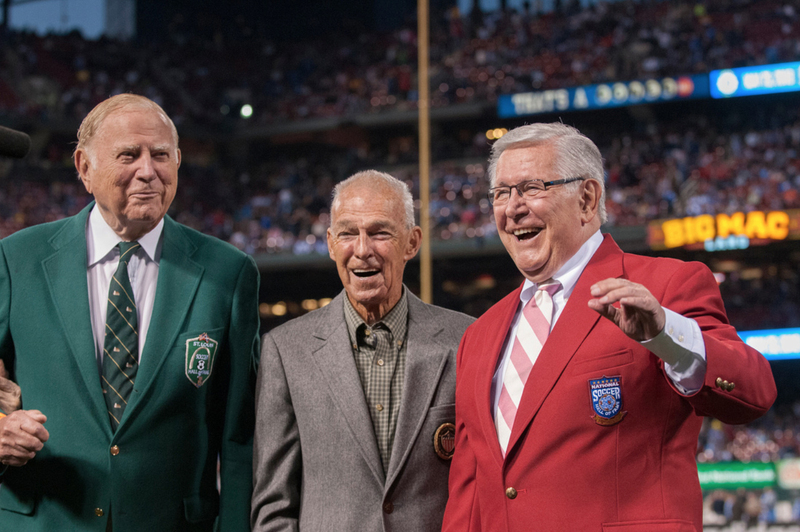 When the Brennan brothers arrived in Ireland, the sons had a surprise for their father. The finest suite in Mount Juliet, the house whose door he never darkened, was reserved for him. Owen and his family had come a long way. As a young man, Brennan never took for granted the chance his parents had given him, even if he was a little undecided about what to pursue post-high school. At one point he even had an earring, long hair, and motorcycle, but the Jesuits won out and Brennan went to college at Fordham University, across the Hudson River in the Bronx, to which he had to take a bus, then two subway transfers. 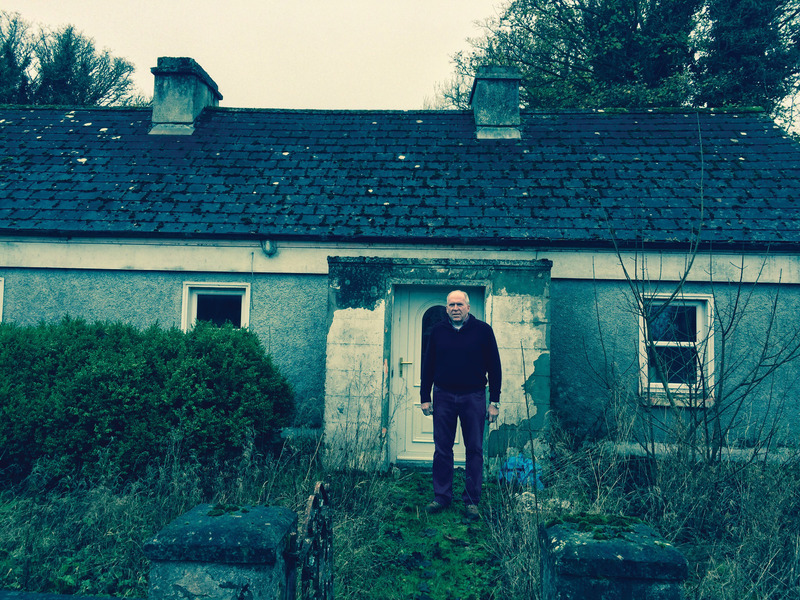 Brennan pictured at the home where his father was born on April 2, 1920, in Clooneskert, Co. Roscommon, last November. Growing up, Brennan loved to travel and was drawn to distant locales. He spent a semester as an exchange student in Cairo at the American University from August 1975 to January 1976. The Arab world fascinated him. In Cairo, he took courses in Arabic and later went to graduate school at the University of Texas in Middle East studies where he refined his language skills. It was as an undergraduate when the decisive moment he applied to the CIA came. “I was on the bus going to New York to Fordham and the New York Times had an advertisement for the CIA, and I then sent in my resume.” He was hired in 1980. Then came the long climb to the top. The utter faith that presidents Bill Clinton, George W. Bush, and Barack Obama placed in him, his reputation for no nonsense truth-telling, plus a working schedule that makes a workaholic look like a slacker ensured Brennan’s success. Along the way he married Kathy Pokluda, of Czech ancestry. Together they raised one son and two daughters – Kyle, Kelly, and Jaclyn – and together they’ve been for 40 years. Asked to reflect on the question every director actively considers if they are any good – to name the best and worst moments of the job – Brennan’s reply is both surprising and indicative of the man and his ability to see the real live flesh and blood children and adults who suffer. Brennan’s mother Dorothy (née Dunn). Her grandparents (Dunn, Duffy, Ahearne, and Hingston) were all born in Ireland. 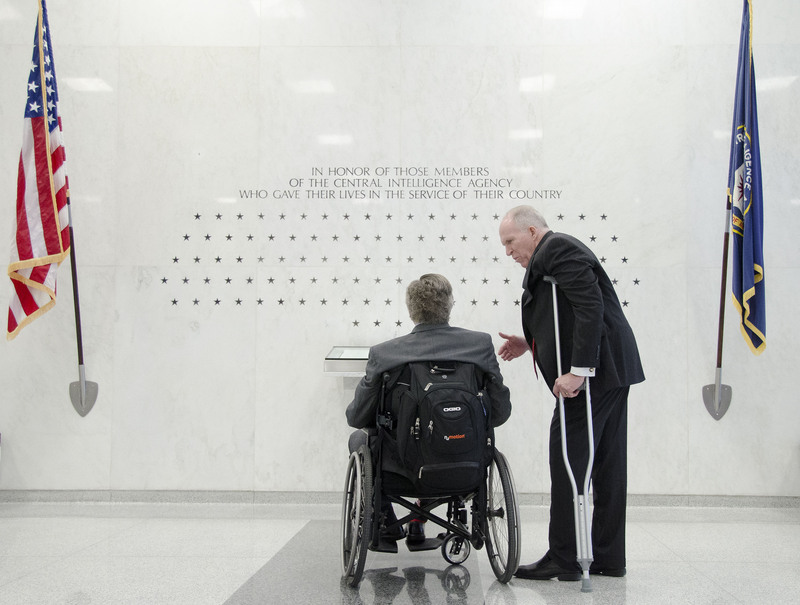 “The worst moments are when a CIA officer falls in the line of duty,” he says. If there is a pinnacle of his career, it must be his involvement in the operation that led to the killing of Osama bin Laden in May 2011. “That was certainly one that I can remember very, very vividly because there were 48 hours and there was a period of time where there wasn’t that much sleep. There was a lot of anxiousness and concern about the individuals who were a part of that raid,” Brennan recalls. 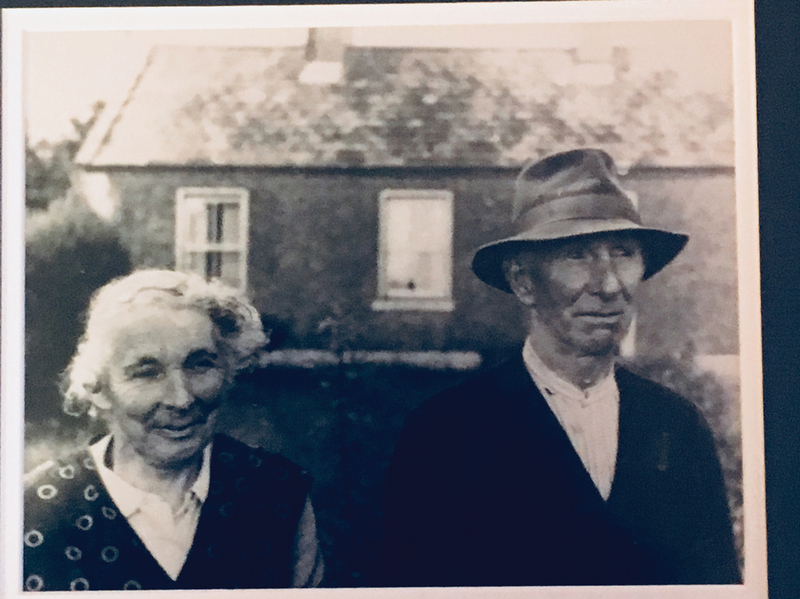 Brennan’s grandparents, Anne (née Kelly) and Owen Brennan in front of their Mount Plunkett, Co. Roscommon, home, c. 1965. Though his term at the CIA expired once Trump was sworn in, Brennan continues to be a powerful voice in the national debate. He warned the FBI shortly before the election that the Russians were perverting the process in favor of Trump. He has also been outspoken on what he sees as attempts to undermine the truth about what happened in the 2016 election and has been fearless in speaking out. On a personal level, he is back teaching at his beloved Fordham University, but we may well have not seen the end of him as a national figure yet. His parents have now passed on but what they taught him about decency, respect, and truth-telling has obviously stayed with him. 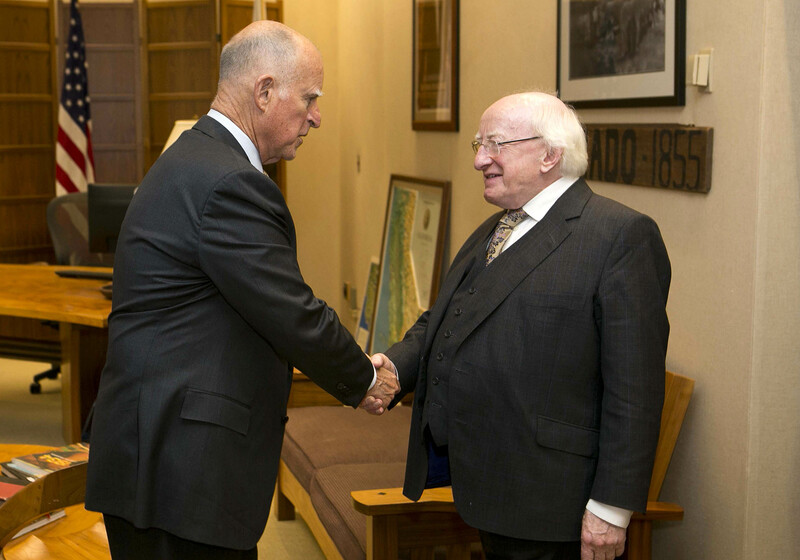 Jerry Brown – who has spent more time than anyone else in the California governor’s office – has been well served by his Irish Catholic roots. 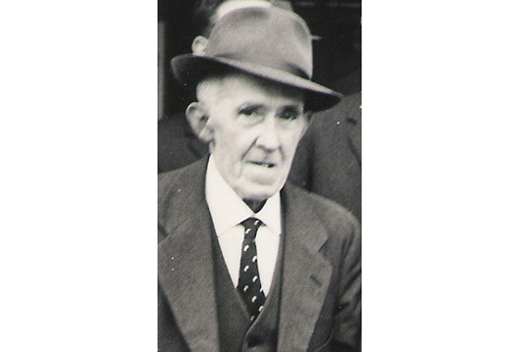 Brown’s great-grandfather, Joseph, came to the U.S. from County Tipperary during Ireland’s Great Hunger, in 1849. In Massachusetts, he met his future wife, Bridget Burke, herself an Irish immigrant to America. A few years later, Joseph and Bridget made their way to California, where gold mining was still fueling dreams of wealth and a better life for hopeful immigrants. Joseph and Bridget Brown laid the foundation for one of America’s most enduring political dynasties. Their grandson, Edmund Gerald “Pat” Brown, went to night law school and became a successful lawyer. In 1943 he was elected district attorney of San Francisco, and in 1950 was elected attorney general of California. In 1958 he was elected Governor and served two terms, defeating Richard Nixon in his reelection bid, but losing to Ronald Reagan in his attempt to win a third term. Governor Jerry Brown and his wife, Anne Gust. Brown’s son Edmund Gerald, Jr. – known as “Jerry” – inherited the family’s political gene and was deeply influenced by the faith his great-grandfather brought from Ireland. “Jerry Brown’s idealism has been shaped and enhanced by a powerful California institution – the Catholic Church,” writes Chuck McFadden, in Trailblazer, his 2013 biography of Brown. From the fifth through the eighth grade, the serious-minded Brown was educated by the Dominican nuns. Then in high school, and for a year at the University of Santa Clara, he was taught and inspired by the Jesuits. Like many Irish Catholics, Brown seriously considered the priesthood, spending several years at the Sacred Heard Novitiate and taking vows of poverty, chastity and obedience. In 1960, Brown left the seminary and enrolled at the University of California at Berkeley, later graduating from Yale Law School. 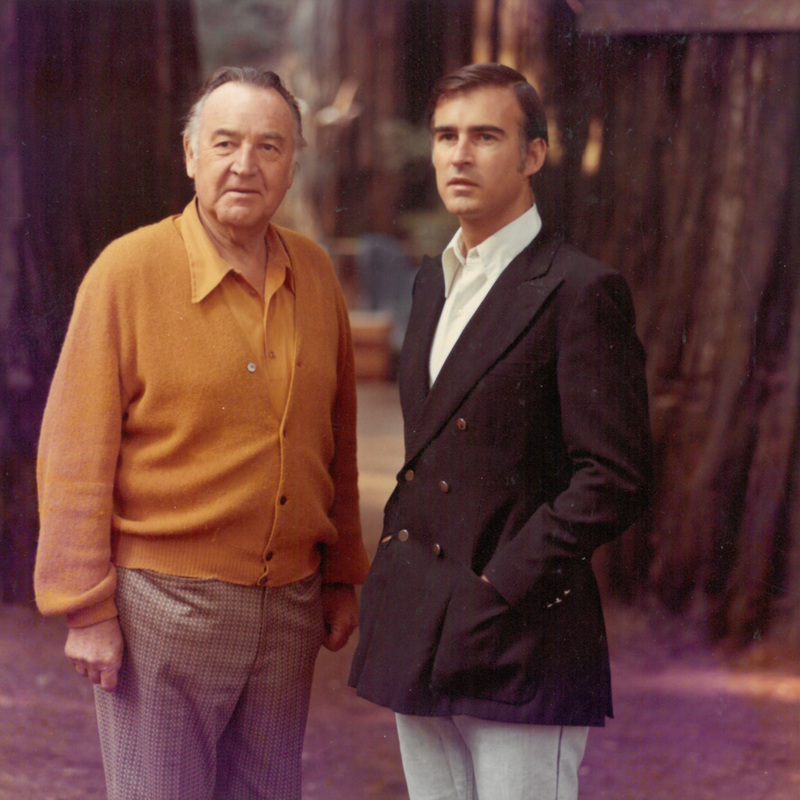 In 1971, at the age of 32, he became California’s secretary of state. At the next election, Brown was elected governor, following the eight storied years of Ronald Reagan. In his first term, Brown signed into law the nation’s first Agricultural Labor Relations Act and created the California Conservation Corp, modeled on President Roosevelt’s Civilian Conservation Corp. Also notable during his time as governor, was the changing face of the California judiciary, which for the first time included large numbers of women, African Americans, Latinos, and Asian Americans. 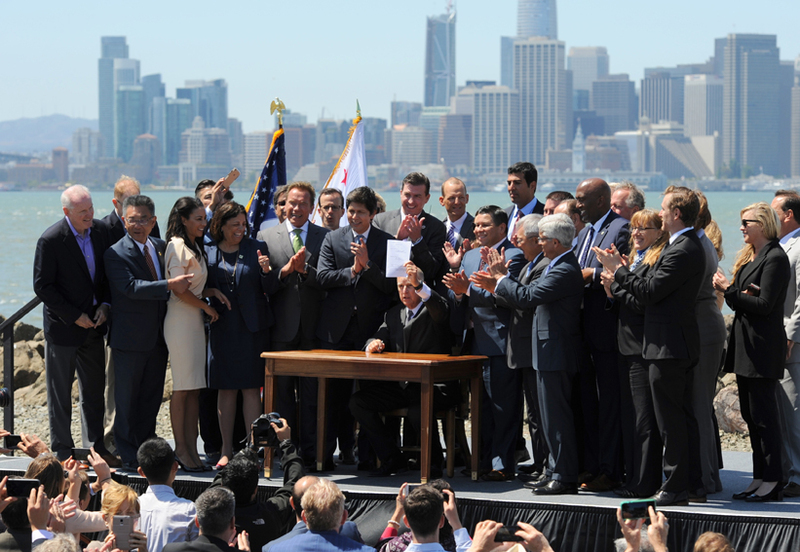 Governor Brown was also responsible for the nation’s first building and appliance energy efficiency standards and a 55 percent solar and renewable energy tax credit. In the following decade, California became the nation’s leader in renewable energy, producing over 95 percent of the nation’s wind-generated electricity. 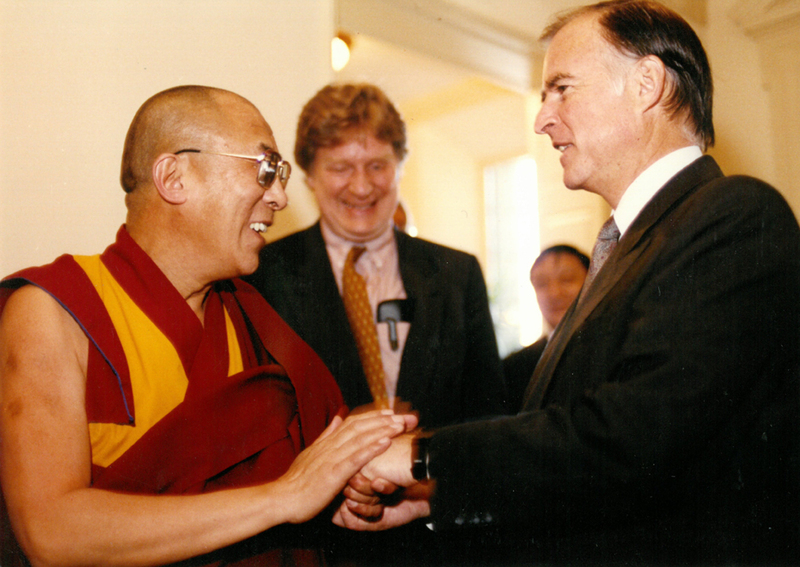 Jerry Brown with the Dalai Lama. In 1976, Brown sought the Democratic nomination for president, managing to best Jimmy Carter in several states, including Maryland and California. It’s been 42 years since his first White House run, and Brown, now 79, is looking back at a lifetime spent on the political stage. When Brown delivered his final State of the State address this January, it was not only the end of an era, but “the end of… a very, very long era,” as the Los Angeles Times put it. 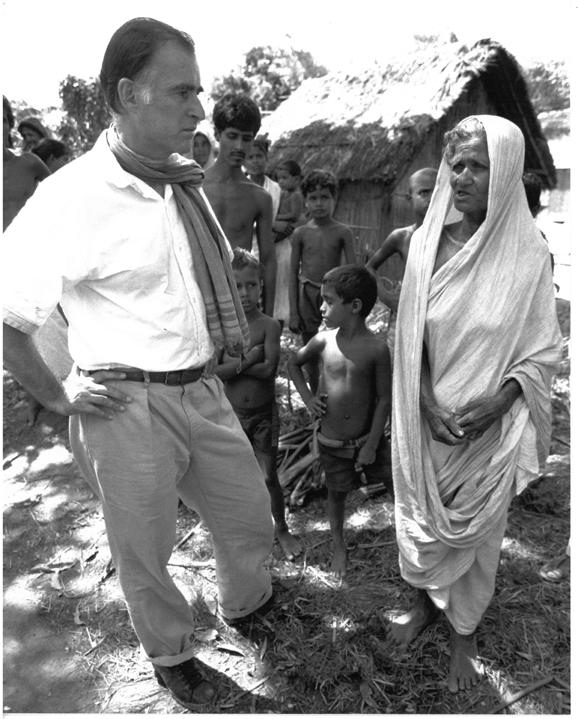 Jerry Brown in India where he worked with Mother Theresa. 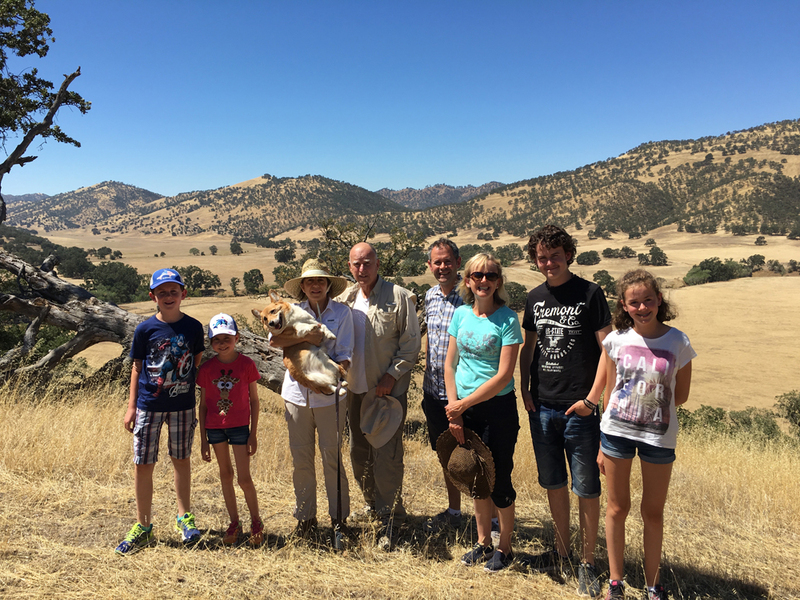 Brown and his wife, Anne, meet with his Irish cousins, the O’Sullivans, at his ranch in California. Left to right: Robert, Aoife Anne, Jerry, John, Helen, Eoin, and Rosie. Jerry Brown was born on April 7, 1938, at St. Mary’s Hospital. “The first in a series of institutions that had ‘St.’ or ‘Sacred’ or ‘Santa’ as part of their names and would largely influence his first two decades,” writes McFadden. St. Ignatius High School was another such institution, where Brown took four years of Latin and religion in what was then the pre-Vatican II era under Pope Pius XII. This underscores an important point about Brown: though he would come to be associated with the liberal wing of the Democratic party, he was also influenced by ideas typically associated with more conservative thinkers. For his success in balancing California’s budget, the American Conservative magazine called him “much more of a fiscal conservative” than Republican icon Ronald Reagan. 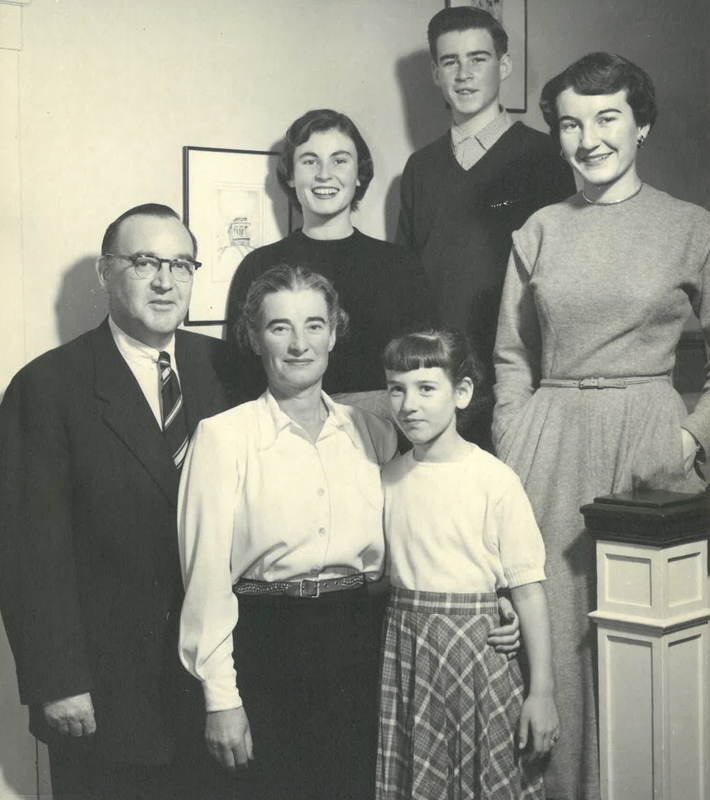 Governor Pat Brown with his wife, Bernice, and children, Jerry, Kathleen, Barbara, Cynthia, and Lee. Following an unsuccessful U.S. Senate run in 1982, Brown traveled widely, visiting Japan, China, Russia, Europe and Mexico. For six months he practiced Zen meditation in Kamakura, Japan, and then worked briefly with Mother Teresa in Kolkata, India (formerly Calcutta). But Pat Brown’s son could not stay away from politics. In 1989 he ran for and was elected chairman of the California Democratic Party. Then in 1992 he ran again for the White House, mounting an insurgent campaign, taking no contribution greater than $100. Brown used an 800 number to collect most of his funds and won several states including Connecticut, Colorado, Maine, and Vermont, eventually losing to Bill Clinton. Michael Browne, grandnephew of Joseph Browne, who immigrated to the U.S. in 1849. In 1998, he was elected to the first of two terms as mayor of Oakland, where he helped revitalize the downtown area and founded two unique charter schools, the Oakland Military Institute and the Oakland School for the Arts. In 2006 he was elected California attorney general, where he took aggressive legal action to protect the environment and combat growing mortgage fraud. Along the way, he married longtime girlfriend Anne Gust, a top executive at The Gap. They exchanged their vows at St. Agnes Catholic church in San Francisco, where Brown was baptized and where his parents were married. In 2010 Brown won a third term as California governor by defeating billionaire Meg Whitman, who far outspent him with a $173 million campaign. He became the oldest person to hold the California governorship and was re-elected in 2014. Brown’s impressive achievements include: the conversion of a $27 billion deficit into a $13 billion rainy day fund; reforming pensions, workers’ compensation, and California’s bloated prison system; providing health insurance to an additional five million Californians; increasing school spending by tens of billions of dollars and reforming funding formulas to assist low-income and non-English speaking families; enacting a $15 minimum wage; passing a $7 billion water bond; and making California a world leader in the fight against climate change. Jerry Brown has had an unusual, creative and very long career in public service. All in all, a beautiful tribute to his pioneering and courageous Irish forebears. Back then, Long was president and COO of Anheuser Busch, the largest brewing company in the world. His was an extraordinary success story. A poor kid from a working-class neighborhood, he had risen from office boy to president and chief operating officer. At just age 41, he took over the company at a crucial time in its history. Anheuser-Busch was reeling from a 100-day strike that had kept its product off the shelves and there was a growing threat from Miller Brewing, which was looking to take over the market share. “We had never looked at the company in that detail. We realized that we were going to have to develop new strengths to survive,” Long said at the time. 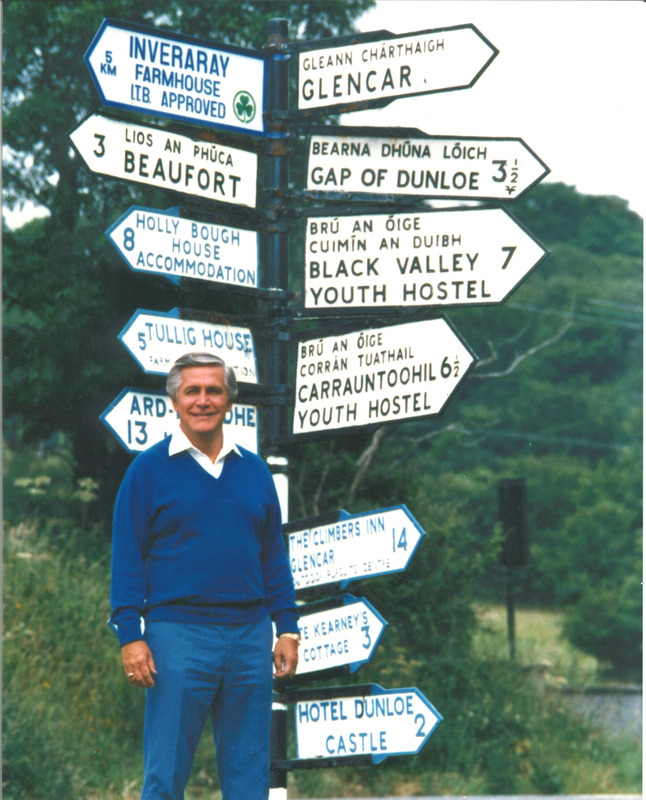 All roads lead to Killarney, Co. Kerry from where Dennis Long’s Irish ancestors hailed. As president from 1977 to 1987, Long nearly doubled Anheuser-Busch’s beer sale volume, adding 35 million barrels and giving the company a 33.6 million barrel lead over their nearest competitor. He did that by doubling the marketing staff and greatly expanding the advertising campaign, reaching out to specific groups, and by taking the brand overseas. Much to Ireland’s benefit. 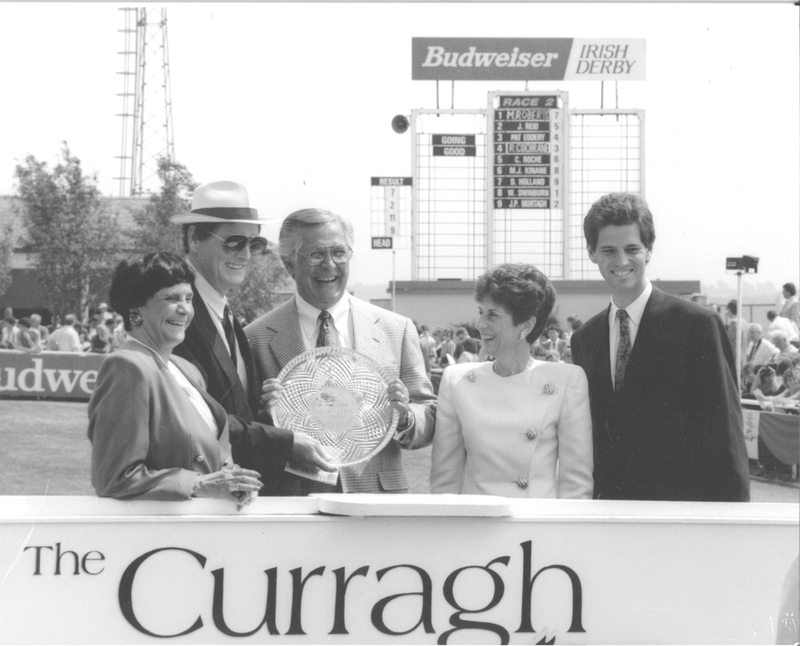 In 1985, he initiated, the company’s sponsorship of the Irish Derby held on the rolling plains of the Curragh in County Kildare, making what became known as the Budweiser Irish Derby into one of the richest horse races in Europe, and turning the Irish into Budweiser drinkers in the process. He also saw a opportunity to expand the brand in the U.S. by sponsoring sporting events, including soccer – the game he had played growing up in the “Patch,” as the Irish neighborhood of his childhood was called. 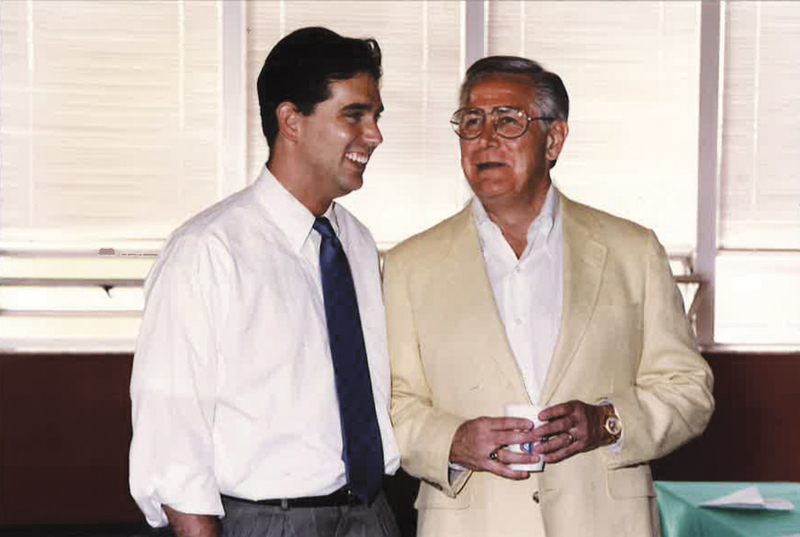 Dennis Long and his son, Patrick Long, co-owners of Sam’s Steakhouse in St. Louis. Dennis “Denny” Long was born in Chicago to third-generation Irish American parents. When he was four, his family moved back to St. Louis. Long’s fourth-great-grandfather immigrated from Ireland in the 1850s, and after disembarking in New Orleans, made his way to St. Louis via the Mississippi River. Speaking to me from his office in Sam’s Steakhouse, the successful St. Louis restaurant that he co-owns with his son, Patrick, Long talked about his early life and the tight-knit community of the Patch, where family and parish, St. Columbkille, were all- important. People were poor, but the community was rich in spirit. “It was a haven,” Long remembers. And there was a plethora of Irishness that fully encompassed his life, from the concert full of Irish songs and music that occurred every Friday night to the Irish plays that would be performed in the Patch. Bonnie Long Hooper, Michael Smurfit, Dennis Long and his wife, Barbara, and Anthony Smurfit. And then there was soccer. “Every Catholic parish in St. Louis sponsored a soccer team. It was part of our education, our growth, our parish activities, more so than any other sport. “I played soccer from the time I was able to walk until now, and I’m almost unable to walk, so from limp to limp. I’m 82, so that’s a long time,” he tells me, saying that as early as he can remember, all he wanted to do was to kick a ball around a manicured field for his parish. For generations, the city of St. Louis would champion the sport of soccer by producing brilliant players that would go on to do great things. At every World Cup the United States has participated in, there has been a St. Louisan playing. It is just a way of life for the people of St. Louis. “Whenever you wanted to know someone, your first question was, ‘What parish do you belong to?’ That told us exactly where they were from. And then, ‘Do you play soccer?’” he says. This communal game not only sparked a lifelong passion for the game, but taught Long how to lead those within a team setting, something he was able to translate into team-building during his career at Anheuser-Busch. In the late 1960s, Anheuser-Busch sent him to Ireland to try to acquire Guinness, the famed stout of all Irish stouts. Long came to know Benjamin Guinness himself, then head of the company. Guinness wasn’t prepared to sell. But Long’s hope for Anheuser-Busch’s presence in Ireland was undiminished. 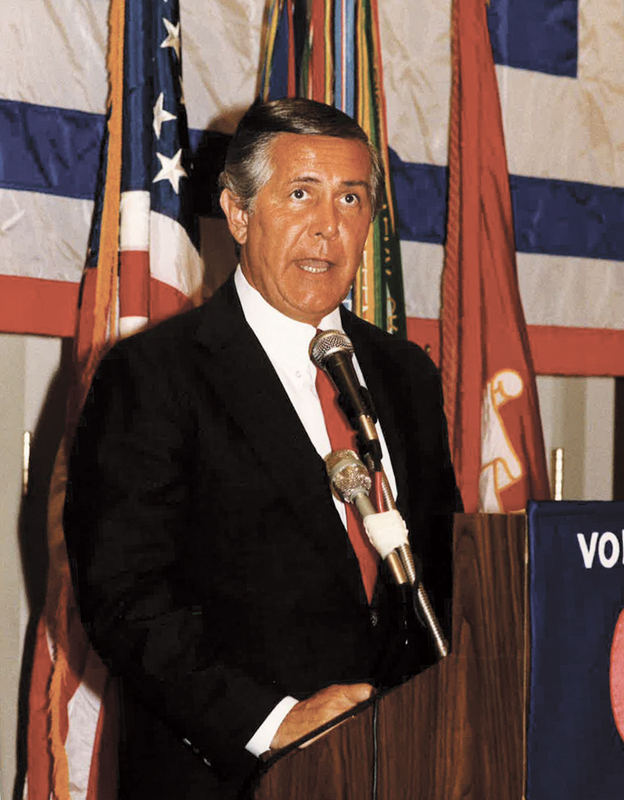 Dennis Long was president of the USO from 1984 to 1987, for which he received the Secretary of Defense Medal for Distinguished Public Service on October 1, 1987. Anheuser-Busch, under Long, sponsored the Shamrock Games, which brought the Busch Soccer Club of St. Louis to Ireland for a chance to travel and to learn about a new culture through soccer. On that trip, the team paid a visit to the Curragh racecourse, where a member of the board asked Long straight out if Anheuser-Busch would be interested in sponsoring the Irish Derby. Long spotted an opportunity and (despite not having control over the European business at the time) solidified a deal. Anheuser-Busch would sponsor the race and rehabilitate the facilities for $1 million, as long as the money would go into the stands, where the “real beer drinkers” (who would also ideally drink Budweiser) would be. From 1986 to 2007, Budweiser sponsored the Irish Derby and made it an Irish sporting staple. In the late 1980s, Long’s position as president and COO at Anheuser-Busch allowed him to not only help the soccer-loving people of St. Louis, but the United States as a whole. In the 1980s, Long, with the help of Anheuser-Busch and the blue-collar workers of St. Louis, built the Anheuser-Busch Center, now the World Wide Technology Soccer Park, one of the finest public soccer complexes in the U.S. Originally built with four fully-equipped pitches, it has been expanded to six soccer fields – two turf and four grass fields. In 2011, the main field was renamed the Dennis P. Long Field in his honor. The extended Long family in Ireland. Outside of soccer, Long also served as the president of the United Service Organizations from 1984 to 1987, which helps over 10 million military service members and their families. And for his work, he received the Secretary of Defense Medal for Distinguished Public Service, the highest honor that can be awarded to a civilian by the Department of Defense. In the early 1990s, the U.S. Soccer Federation made a bid to host the World Cup for the first time. Joao Havelange, then president of FIFA, was visiting Anheuser-Busch and was brought to Soccer Park. After seeing their passion made a reality, Havelange said, “If a company the size of Anheuser-Busch, the biggest brewery in the world, could spend this kind of money to put up this kind of a park in a community where there is not even a professional league, then surely soccer is alive and worthy of the World Cup.” A couple months later it was announced that the United States would host the 1994 World Cup, a watershed event that led to the creation of Major League Soccer, the United States’ highest professional soccer league, and a soccer revolution that is still enjoying success today. Long’s passion for his work, soccer, and his hometown of St. Louis fully encompasses his life. He has made and continues to make a massive impact on his community, his city, and the game he loves. Above everything is the importance of his heritage, having influenced the way he is with people and how he feels about the people of Ireland and the people of St. Louis. “Anytime I could do something for Ireland, it was always something through soccer or the brewery,” he says. “I stayed in touch with my cousins over there. The people of Killarney are good people. I think that’s the secret to Ireland, its people. It’s been a few years now but, the memory doesn’t go away. I climbed down the ladder into the hold of the ship – into steerage. My reaction was so visceral that I get goose bumps now just thinking about it. The interior is tight and dark – there are no portholes. No portholes and no privacy. The bunks, six feet by six feet, are two up. Whole families traveled on those bunks – 18 inches of sleeping space for a grown adult and 9 inches for a child – that was the was standard allotted space. There was no separation of men and women, single or married. The rations were mostly flat brown bread, hard-baked to resist mold. Two small “first class” cabins to the front of the ship shared a rudimentary toilet. The steerage passengers used a bucket. If the weather was stormy, they were locked in the hold. If the weather was good, they were allowed on deck once a day for 30 minutes. The journey lasted up to six weeks. The name of the ship is the Dunbrody and it was built to hold 187 passengers. But it often carried more than that as refugees lined the quayside in New Ross, looking to escape the starvation of the 1840s when the potato crop failed. From the same quay, and other ports around the country, ships laden with grain and cattle left for England. There was plenty of food in Ireland, but the Irish didn’t have access to it. They starved in plain sight of food. We know from the Dunbrody’s records that the ship en route to Canada in July 1847 carried 317 passengers – 130 more than it was built to hold. The overcrowding must have been unbearable. Some died onboard and others are buried in a mass grave on the quarantine island of Grosse Ile in the St. Lawrence River. It was on a blustery July day in 2011 when I made my visit to the ship on the quay in New Ross, Wexford. I should say it is not the original, but an exact replica of a ship of the same name that carried thousands to the New World. It was 164 years, or two 82-year life spans, since that July in 1847 when ships from Ireland, including the Dunbrody, lined the St. Lawrence River, waiting for endless days to disembark at the quarantine station already overwhelmed with Irish who were sick and dying of ship’s fever. I was in New Ross to open the Irish America Hall of Fame, which is part of the Dunbrody Famine Ship and Emigrant Experience. We could not have picked a better spot. The juxtaposition of the ship and the Hall of Fame is not lost on the visitor. It works in such a way that it brings the narrative of the Irish American story full circle. The Dunbrody is a place of pilgrimage, especially for the American Irish whose ancestors left in hard times. It reminds us that the seeds of Irish success in America were sown by brave, desperate people who were propelled forward by the slim hope that life would be better on the other side. Joseph Browne was one of those who dared to hope. When he left Tipperary in 1849, he was not leaving a peaceful place. There were more evictions in Tipperary in 1847 than in any other county. (It had good land, you see – better value in cattle grazing than in tenants.) 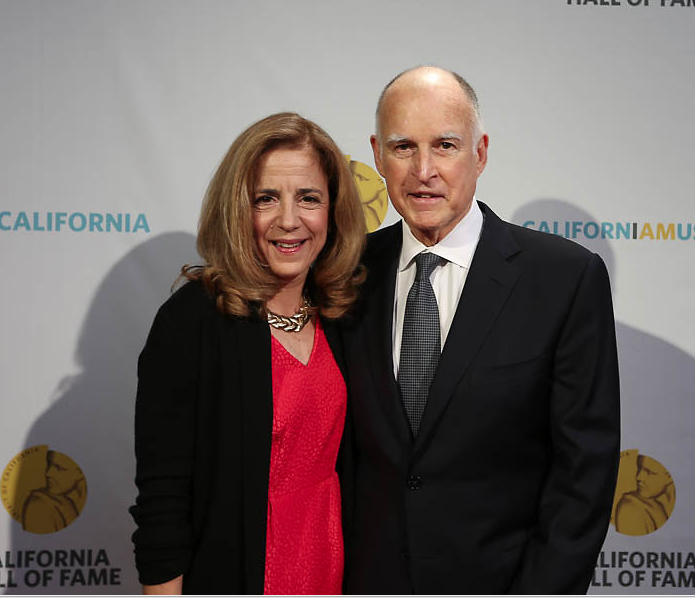 Joseph met his future wife, Bridget Burke, herself an Irish immigrant, in Boston, and they made their way to California where they laid the foundation for a political dynasty that includes our Hall of Fame honoree Governor Jerry Brown. Dennis Long’s four-times great grandfather from Kerry, got off the ship in New Orleans and took a boat up the Mississippi to St. Louis – where he stayed. Dennis would, at just 41, become the head of the largest brewery in the world, and give back to Ireland in immensurable ways. He saved this magazine from going under with sponsorship that saw a Budweiser ad on our back cover for years, a tradition that was carried on by his successor, Mike Roarty. 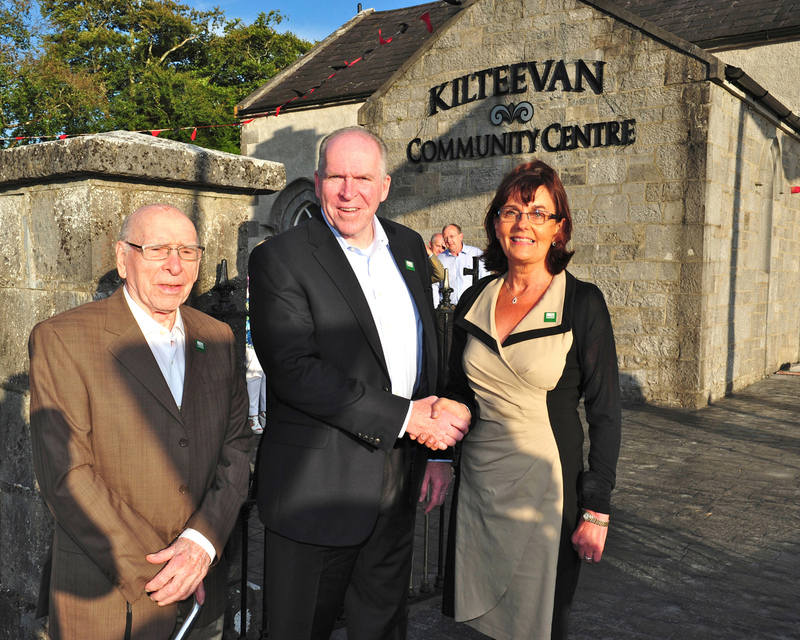 In Roscommon, where the population dropped by 31 percent, through immigration and death during the Great Hunger, John Brennan’s family managed to hang on. It would be another 80 years before John Brennan’s father, Owen, would immigrate and marry a first generation Irish American who would ensure that their son received the best education possible. The proud Fordham graduate went on to reach the top of his profession in the CIA. We are delighted to induct him into the Hall of Fame. Kelli O’Hara’s family came to the U.S. from Ireland sometime around 1850. They lived in Iowa, Missouri, and Colorado. Her grandfather, Pete, moved to Mangum, Oklahoma in 1909, where her dad was born in 1915. In 1921, Pete moved to Elk City to the farm, taking his mother Bridgette with him. “Six generations have now lived in that land,” Kelli says. The pioneering spirit of Kelli’s ancestors is not lost. It was that spark that gave Kelli the courage to leave Oklahoma for New York at the age of 19 to pursue her dream of being a singer on Broadway. And she reminds us that wherever the Irish went, they might not have had much by way of material things, but they brought their music with them. It is only when we look at the historical trajectory that we see who we are as a people. And knowing our history, and knowing that we are descended from brave, resourceful people, helps us choose hope over despair in times of trouble. Born and raised in Andover, Minnesota, Rooney began playing at age 9. By the time she was a senior in high school, she was playing for the boys’ team and had racked up a .910 save percentage. She was added to the national team roster last March and currently plays for the University of Minnesota-Duluth. The National Library of Ireland rolled out plans in January for a new digital archive of modern Irish history. The archive, called Towards a Republic, will document the tumultuous series of events between 1918 and 1923, beginning with the Irish Republican Army’s brutal struggle for independence from Britain and ending with the Irish Civil War. It is one product of a €2 million investment in historical preservation by the Irish Department for Culture, Heritage and the Gaeltacht. Showcasing the written records of such iconic figures of the time as Arthur Griffith and Countess Constance Markievicz, the collection promises to provide newer, closer insights into the time period, including the progress of the Home Rule movement and the inner workings of the early IRA with the preservation of official government documents and military orders. It will also contain the records of lesser-known individuals, who even without historical renown help to paint a vivid, previously-unseen picture of how life was touched by the rebellion. For example, the letters of Annie O’Farrelly, sent to her family while she was imprisoned by the Irish Free State, are expected to provide an interesting personal perspective on the Civil War. In January the Linen Hall Library in Belfast launched a new digital archive dedicated to the Troubles. Founded in 1968, the institution has amassed over 350,000 primary sources and essays relating to the conflict in Northern Ireland, the largest collection of its kind. The archive, called Divided Society, covers the events from 1990-1998 that culminated in the Good Friday Agreement. The archive is expected to serve as an educational tool, facilitating an in-depth understanding of an essential era of Ireland’s storied past. Library director Julie Andrews told the Irish News that the goal of collecting both primary sources and academic essays is to “give an accurate description” of the atmosphere of the period and what it was like to live through it. The archive contains hundreds of scholarly journals, original posters, and an audio-visual gallery that provides interviews and news reports from the time. Access to the archives is free to residents of Ireland and the U.K.; individuals applying for personal use elsewhere pay an annual fee of £300. Visit dividedsociety.org for more. The Tánaiste and the Irish Department of Foreign Affairs and Trade launched a new website in February that seeks to keep interested citizens informed of the government’s Brexit negotiations and what the departure of the U.K. will mean for the Republic of Ireland going forward. “This website provides a resource to learn about the work the government is undertaking to protect Irish interests in the Brexit negotiations, and the work being undertaken to address the consequences of Brexit here in Ireland,” Tánaiste and Minister for Foreign Affairs and Trade Simon Coveney says. The website is divided into three sections: “Key Documents,” “Government Engagement,” and “Research and Analysis.” Key Documents provides the Irish government’s reports on its priorities and thoughts on Brexit. Government Engagement provides the latest news on Brexit, the Irish government’s work with civic society, and support for businesses. Research and Analysis gives the reader all of the issues, options and implications Brexit could possibly bring to Ireland.